THERE are certain key questions in life you can use to age most people. Favourite Bond, favourite Doctor Who, favourite children’s programmes. Anything that depends largely on what you grew up with. And for those of us with a music obsession, particularly anything involving vaguely miserable young men peering through their fringes and teasing jingly-jangly or feedback-ridden noise out of guitars, you can add favourite era of the NME. Anyone who suggests anything from this century is downright wrong as it increasingly veered towards glossy Smash Hits territory. 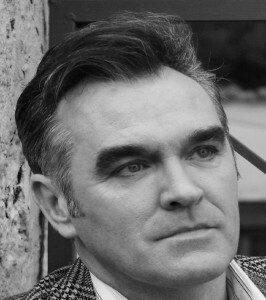 Nope, you definitely have to go back to the days when the ink from that week’s Morrissey cover came off on your fingers. Will listen to arguments that the hip young gunslingers of the late ’70s was some form of golden age – it did give us Danny Baker after all – but you have to go about a decade later for my era of choice. Had started to dabble in getting my fingers inky every Wednesday – will argue journalism has never been the same since the days of picking a copy fresh off a press on the premises and half of it coating your hand – in the early to mid-’80s as my NME-reading formative years. But my weekly habit took hold in the second half of the decade, a golden age reading the musings of Stuart Maconie (who still colours my musical education on 6Music, given the chance off work), Andrew Collins, and Steve Lamacq among others, under the editorship of Danny Kelly. Those golden years lasted into the 1990s until Steve Sutherland took over the editor’s chair and there was a large turnover of writers. Stuck with it for a good few years – there weren’t many other options to read or find out about this sort of music – but it was not the same. If memory serves, gave up buying it (Christmas issues and its best of the year lists apart) when working in Newport, opting to it on the health reporter’s desk and read his copy every Wednesday. Bizarrely, the person on the next desk would end up working on the NME news desk. Around the time they were pushing Starsailor as the future of guitar music. Not sure we can blame him for that. The golden age was well and truly over. By the time they had bestowed almost God-like status on The Libertines, it was time to sever all ties. Have picked up a couple of the free editions it became, but quickly worked out why it was normally left on the piles outside HMV. But it was still a sad – if inevitable – day when news came through that it would no longer exist in print. Both for music fans and anyone with any sort of affection for the printed word that cannot just be scrolled up and down. Apart from the writing, arrived at the NME at a good time musically. They were still in thrall to The Smiths (largely understandable, frequently overkill), but it was also in the wake of the C86 collection and the heyday of the indie guitar music which has soundtracked much of my last three decades and coloured large chunks of this A-Z journey through my iPod. 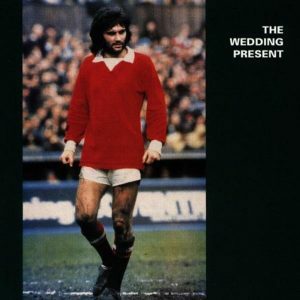 Could be wrong – it was so long ago, remember it largely in black and white – but pretty sure The Wedding Present’s classic George Best album was bought on the back of reading all about them on a train to and from a university open day. Maybe less time reading the NME and listening to the music, more time reading and writing stuff for my school work and one of those open days might have turned into an actual place at university. Although suggest most of my time would have been spent doing exactly the stuff which stopped me going in the first place – Cardiff was my first choice, largely because it had the best line-up of gigs on a visit. The fortunes of print journalism and indie guitar music have suffered in the intervening years, bludgeoned by the dual rise of the internet and any number of interchangeable landfill guitar bands who… there really is no way of finishing this thought without drifting off completely into things were better when I was a lad territory. Inevitably there were various generations of indie guitar bands as we careered closer to the end of G in the alphabetical journey through my iPod from Beulah to They Might Be Giants. There was, equally inevitably, Wedding Present (Granadaland, live and studio) from the golden age to Starsailor (the passable Good Souls), who have possibly unfairly become slightly the poster boys of the indie decline. And we had some possibly surprising frequent visitors with four tracks from Thee Oh Sees, three from Iron & Wine and two apiece for The Beatles (remember them? 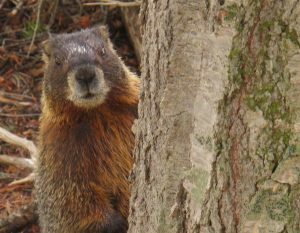 ), The Mark Lanegan Band, Speedy Ortiz and The National (so nearly, and unfairly, lost among the pile of The… bands showing the lack of originality which dogged guitar bands for a while). Ryan Adams, as inevitable as The Wedding Present, joined the frequent visitors with Goodnight Rose, Goodnight Hollywood Boulevard and, with The Cardinals, Gracie, representing the drift towards Americana that replaced the reliance on NME-approved guitar fare. 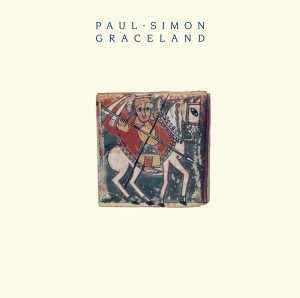 Rival Schools barely fitted that mould, off somewhere to the flanks with Good Things, while Paul Simon is a classification of his own. By rights, he has always been probably a bit Radio 2 friendly to fit in with the standard NME reader, but some people rise above such prejudices and Graceland was a very welcome visitor. Pixies hardly fit the four white boys with guitar template for an indie band, but hark back to that golden age with Gouge Away, as do Prefab Sprout. Steve McQueen remains one of the era’s great albums, Goodbye Lucille #1 (or Johnny Johnny if you prefer) the sole survivor of Paddy McAloon’s supposed attempt to write an entire album of songs with the same title. Sure the NME would have approved.